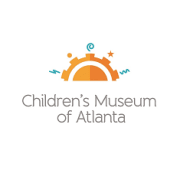 Children’s Museum of Atlanta has a rich history, beginning in 1988 as a virtual "Museum Without Walls", providing innovative programming to schools and non-profits. In 2003, a permanent facility opened in thriving downtown Atlanta’s Centennial Olympic Park neighborhood. Since opening, Children’s Museum of Atlanta has become Atlanta’s premier source of fun-filled learning for young children, a recognized authority on children’s informal learning, a committed advocate on behalf of children, and a signature element in Atlanta’s cultural landscape. CMA receives 230,000 guests annually and has welcomed over 2.5 million visitors to date. Children’s Museum of Atlanta is the only educational venue of its kind in Atlanta, presenting educational programs and exhibits designed for young children ages 0-8. Would you recommend The Children's Museum of Atlanta?